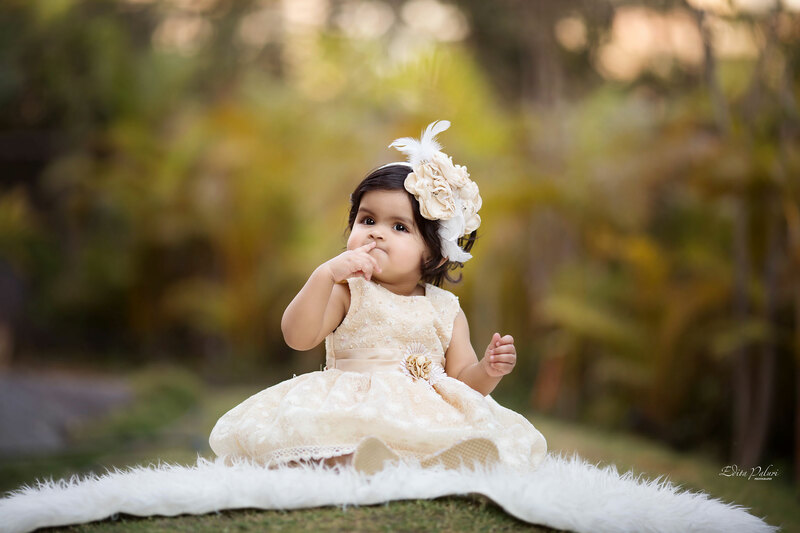 Here at the Edita Photography studio, Pune, we specialize in maternity (pregnancy) photography, newborn photography, baby photography, toddler and child Photography. We also perform family photo shoots. The photo session would take place at the studio, which is located in Bavdhan. One of the rooms is dedicated solely to provide a private location for you to baby feed and change clothing. The studio has plenty of natural light which is ideal for newborn babies as they are sensitive to flash photography. Professional Studio lights are available for circumstances when natural light is insufficient such as during cloudy weather conditions. The photographer will choose the lighting which works best for each photo shoot. A gorgeous garden is available just outside the studio that can be used for outdoor sessions. We have an array of Indian and International props available for use during sessions. These include bowls, baskets, different backgrounds, fur, flokati, handmade outfits, wraps, maternity gowns would be provided in the studio. A professional make up artist can be provided to do make up and hair styling. This takes 1-1.5 hours and is done prior to the session. To book a date for a photo session, please call 99 22 412 417 to find a date which is available as well as suitable for you. To confirm the date an advance payment is required. Once these formalities are done, the photographer will consult you about clothing and other details. The consultation can be done in person at the studio or over the phone. Pregnancy brings a new meaning to the concept of beauty. It is a period of immense joy coupled with excitement. The feeling of carrying a little soul within you is magnificent. It may not always be comfortable having to deal with the cramps, the bloating, the swelling but it’s all in the name of the child within you. My job as a photographer is to capture this beauty and encapsulate it as a timeless memory. The best time for maternity sessions is in the 8th month, however we shall consider health and other factors before setting a date. 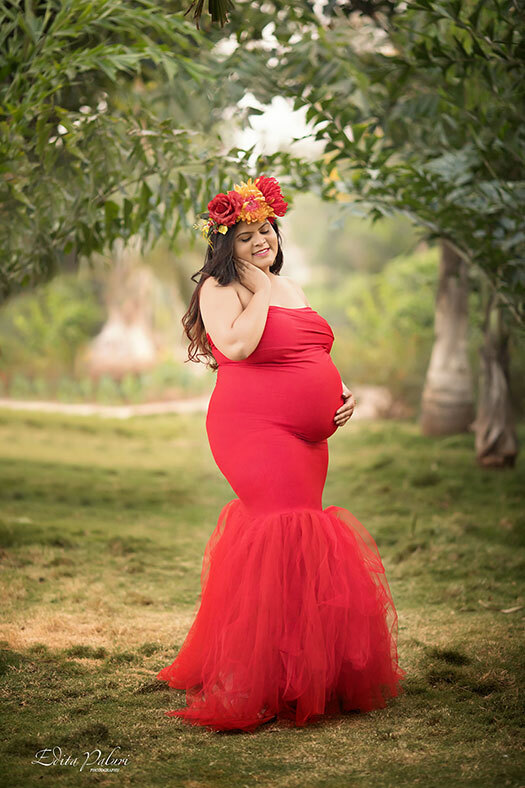 Exclusive designer maternity gowns will be provided for the purpose of the shoot. A professional make up artist can be provided to do make up and hair styling. This takes 1-1.5 hours and is done prior to the photo session. Maternity photo shoots are for the mother and father to be. If you already have an elder child, (s)he also can participate in the photo session. Pregnancy photo sessions last between 30 minutes and 3 hours, depending on the package. Newborn portraits are best taken within the first 2 weeks of the baby’s life, but are still possible up to the 4th week, depending on the baby’s cooperation. During these first weeks, the baby is still very sleepy and curly, folding itself into all of the adorable poses that families have grown to love. Premature babies may be scheduled for a session as soon as they are out of the hospital, around their original due date. 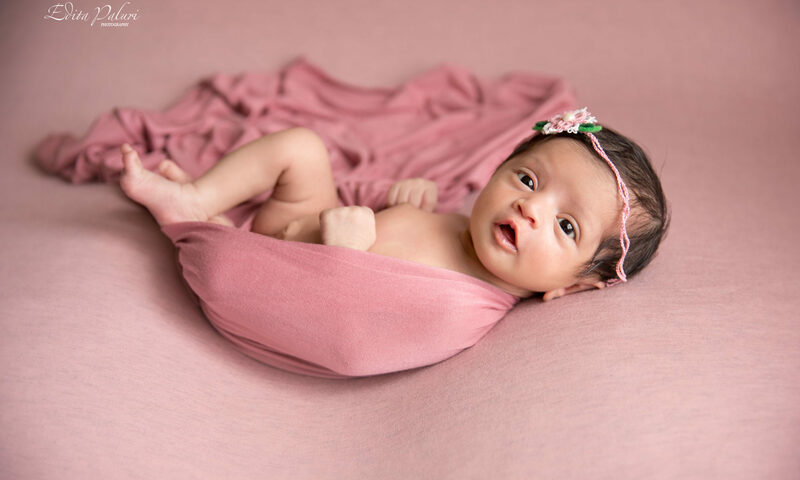 Edita has attended numerous workshops by some of the most renown newborn photographers in the world like Kelly Brown, Erin Elizabeth, Amy Mcdaniel and others. These workshops deal largely with the safe handling of babies. This has given her an in depth understanding of baby safety which is very important during these sessions. We have an array of Indian and International props available for use during sessions. These include bowls, baskets, different backgrounds, fur, flokati, handmade outfits and wraps. A gown for the mother can also be provided. Newborn photo shoot is for newborn babies, parents and siblings. 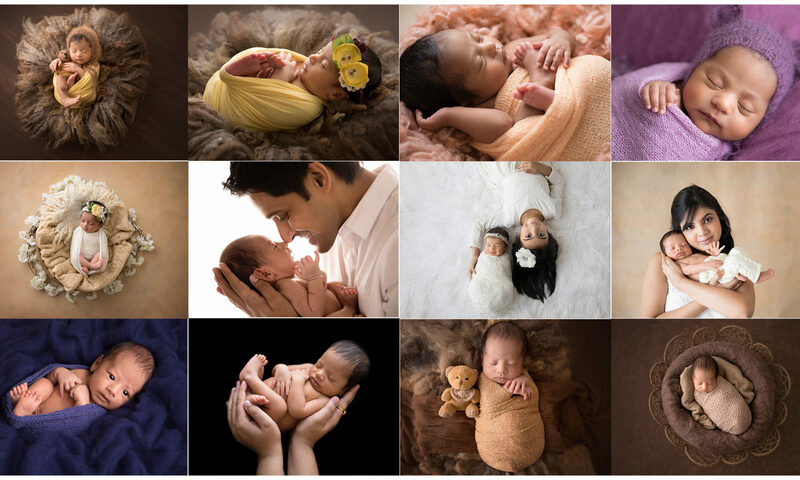 Newborn baby photo session may last from 1 to 4 hours, enough time will be given to soothe and feed the baby. Babies over 1 month are not called newborns any more, at least in regards to newborn photography. This age bracket falls under baby photography. Elder than 1 month babies typically don’t sleep as much, so most of the pictures would be of an awake baby. At around 3 months old babies start concentrating and focusing on faces and objects. They also smile a lot. 3-5 month babies stay on tummy for a longer time and most of them really enjoy it. So, we can capture these gorgeous expressions. We have an array of Indian and International props available for use during sessions. These include bowls, baskets, different backgrounds, fur, flokati, handmade outfits and wraps. Baby photo shoot is for babies, parents and siblings. Baby photo sessions may last between 45 minutes and 3 hours, enough time will be given to soothe and feed the baby. At 6 -12 months babies start sitting without support, they understand much more, smile a lot, they develop their personalities. The baby may have a favorite toy, food or activity, we can include these in the photo session. We can take them to the garden as well for the photo shoot. Sitter photo shoot is for babies, parents and siblings. Sitter photo session may last between 45 minutes and 3 hours, enough time will be given to soothe and feed the baby. 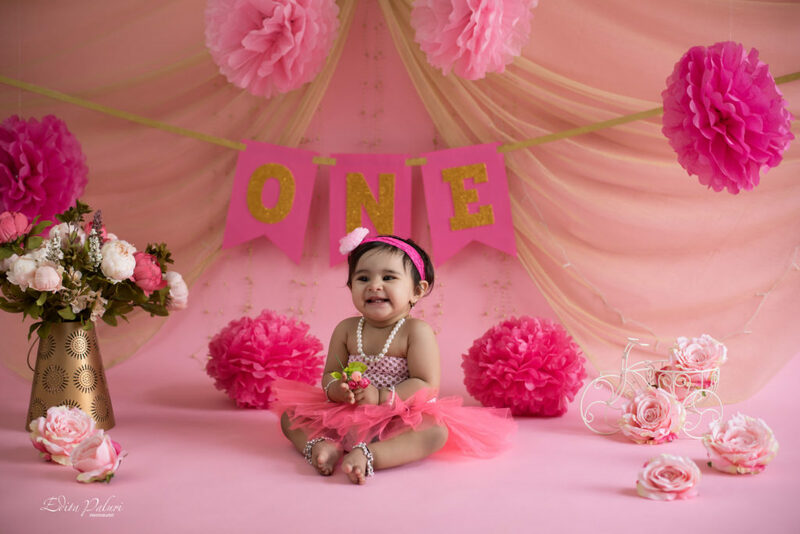 The best time for 1st birthday photo session is at 11-11.5 months, before the baby starts walking without support. It can be a studio session or a garden session or even both. Cake smashing session can also be done, however it should be planned quite a bit prior, at least 3-4 weeks before the photo session. The photo shoot is for babies, parents and siblings. Pre – birthday photo session may last between 45 minutes and 3 hours, during longer photo sessions a break can be given if required. A toddler is a child between 12 and 36 months old. The toddler years are a time of great cognitive, emotional and social development. Toddler photo shoots can be really challenging, parents and the photographer have to discuss and decide the best suitable style for the photo session. It can be a studio or a garden session. We can incorporate the toddler’s favorite toys, foods (snacks) and activities in the photo shoot. If the toddler is happy, we will surely have a bunch of wonderful pictures. It can be a studio session or a garden session or even both. The toddler photo shoot is for babies, parents and siblings. Toddler photo session may last between 30 minutes and 3 hours, during longer photo sessions a break can be given if required. 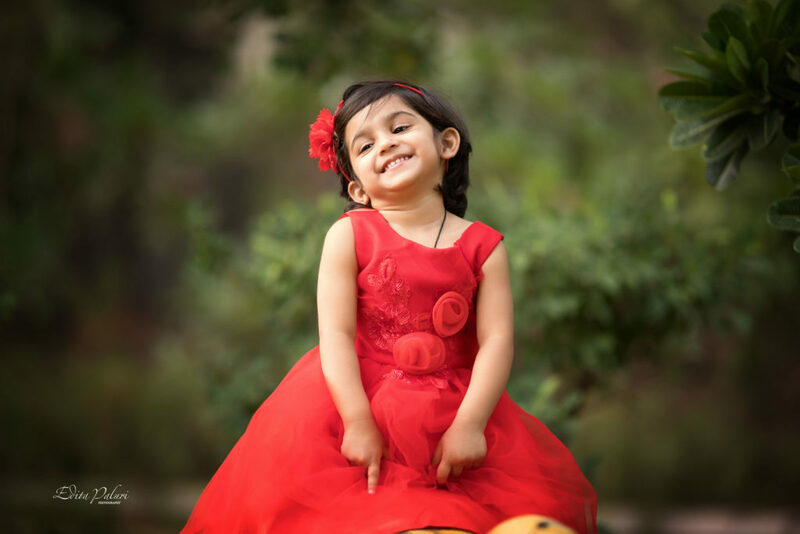 This photo session encompasses ages from 3 to 12 years. It can be done at any time and it can also be done each year. 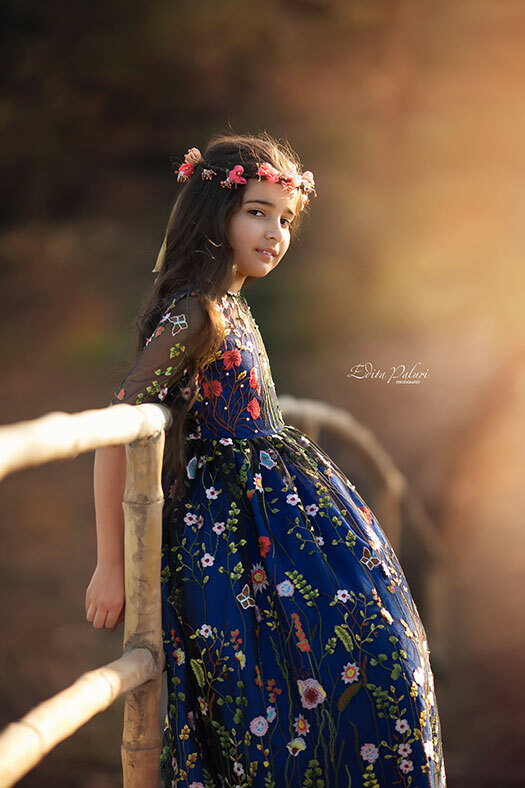 It is a priceless birthday gift for your child (pre-birthday photo session). We would have lots fun and make it memorable for the child as well as the parents. Required props would be provided. The child photo shoot is for children, parents and siblings.